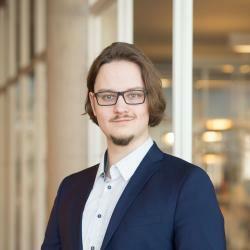 Philipp just started his Master in Management at FS and is a member of our student initiative FS Economy & Politics. With the hessian state parliament election approaching in late October, Frankfurt School students who are eligible to vote face – besides the hours spent in the library and at work – yet another obligation. That is, to make an informed decision in what way they want to shape the political landscape in the five years to come. The tectonic shifts in political discourse during the last three to four years, e.g. the decline of the two major German parties, as well as the rise of the controversial right-wing party Alternative für Deutschland (AfD), have made this decision more important than ever before. 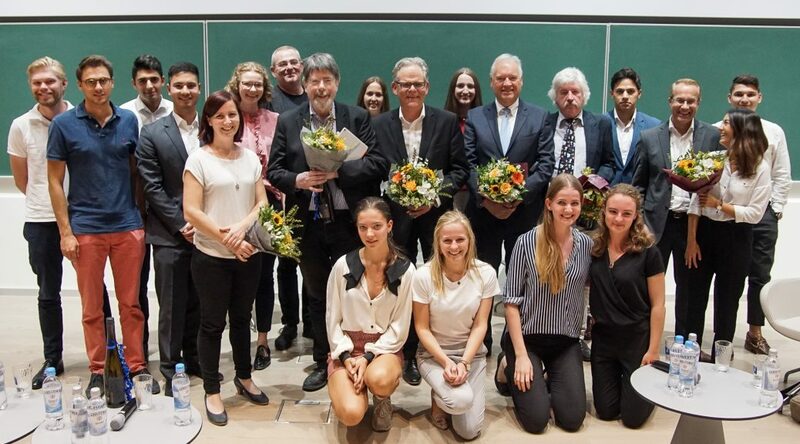 To assist with this decision and to help bring state politics back into focus, we, as FS Economy & Politics, organized a panel discussion in our Audimax on the 20th September 2018, bringing together FS students with representatives of all political parties currently in the hessian parliament, as well as the top candidate of the AfD. The evening was moderated by Andreas Horchler, head of corporate communication at FS. Since there were obviously many questions, we used the tool Sli.do, with which one could post his or her personal questions and let others vote on them, to identify the most pressing concerns. The top-ranked questions then were displayed to the political participants to elaborate on. The questions ranged from the general topics “Do politicians – in a society whose demographic undergoes a dramatic shift towards higher average age levels – actually care that much about worries of the younger generation, even though they make up an increasingly lesser fraction of the total voter population?” over technical ones like the politicians’ views on digitalization or living space conditions in lager cities, up until specifics like bike lane construction and public transport improvements. Although each politician only had a maximum speech time of two minutes per question, there were plenty of opportunities to differentiate oneself from the other representatives and leave a clear impression of their intentions. Little of the seats remained unused and the atmosphere was as curious as the questions were spot on, revealing that quite a few of the students actively researched and prepared with respect to the invited representatives. An ad hoc poll, digitally and anonymous, held at the very start as well as at the end of the event, provided some surprising results. While the nearly 50% for the FDP (liberal party), followed by CDU (conservative party) remained basically unchanged, significant gains for the green party (Bündnis 90/Güne) as well as the social democrats (SPD) could be noted. The AfD as well as the left-wing party (Die Linke) both failed to surpass the 5% threshold to enter the parliament. It was definitely an insightful afternoon and has helped plenty in the auditorium to clarify the prospects offered by the different political options and we are looking forward with many more events in the pipeline, bringing us together with (potential) policy makers sharing their insights and agendas.